Well, I have read a few good things about the Customer Service from ProAirsoft Supplies, and now I would like to offer my personal thanks to them. The story being, I ordered two G&G parts for my AA L85, a front sling loop and the bolt plate as my old A1 Cocking handle had come off, so I ordered the A2 bolt plate to fit an A2 Cocking handle. The Sling loop was marvellous, however the bolt plate was faulty. It didn't have the D shaped bit to fit the cocking handle. I assume it snapped off prior to sending it. Anyway, myself and Mike (RR01) noticed the fault, but with me being the forgetful and busy with various exercises left, right and chelsea I forgot to get in touch. After a bit of conversation with their staff via email we agreed the part was faulty and they were going to send out a replacement. The only hiccup with the process was that they are going through some sort of development or revamped and it slipped through the net. Yesterday morning, I sent them an email to remind them, and they said it would be sent out that day. Today at 1332 I received a First Class stamped box with recorded delivery to sign for. They had not only sent it out, but first class too, with no charge to me. There response to emails is impeccable. Its timely, mature, considered and appropriate. I have received emails off of 3 or 4 members of their staff and they appear to have an excellent attitude towards customers. I most definitely will buy from their again, despite the hiccup, they put a lot of cowboy retailers to shame. The guys at Pro Airosft are some of the best guys to deal with either face to face or via the Internet, they have a good knowledge of the kit they sell and are very friendly. There are some shops that treat you like a pleb when you visit them but not these guys. Calm down, as Craig said, most retailers send a simple order packed, and order sent out email. Rather than taking your money then hearing nothing. Totally agree with you, if this was an expensive bit of kit i.e. AEG or the such like but for a couple of patches that the admin time in sending emails etc would negate any profit that they make. IMO it was a pointless comment that you should have as a moderator kept to yourself !!!! I agree though, a quick "Its with the courier" email would be useful, I know I've had them from other retailers before. However, other than that they were brilliant. I always assumed that the emails shops send out to let you know the item is coming were an automated thing, like when the courier leaves with it and they update their stock levels or something. I've never known a shop not send that email, so I think Nutster was right to point it out. Sure it's not a major thing, but we're debating the shop and how it operates to provide good customer care, and receiving emails upon having parcels sent out from the shop, we've come to expect it as a standard thing. It's not a big deal, no. But it was worthy of address in my opinion. I was sat debating whether to post a reply to the above thread. But fook it !! AGAIN REALLY !!!! IT WAS FOR PATCHES NOT A SYSTEMA OR TM AEG. Calm down please. I won't accept those kind of comments about any of our moderators. They are free to express their own opinions on anything. We don't run a regime here. The backend of an order system is very simple. An email should have been sent. When they process the order, at their end they will want to mark it as complete, otherwise they won't know what orders they have and haven't processed. It's very simple and if you didn't do it you'd be in a right old mess. Any system, even if it's free, should then automatically fire off an email which tells you that your item has been shipped. There is no difference in admin time. I have to agree with excellent service, went to the shop and bought a combat machine for a friend and ordered another one online, in both instances the guns were chronoed and tested and in our hands as quick as possible, they may not be well known but would definitely recommend them! secondly what comments exactly I was just expressing my opinion that this is for a £10 patch and again in my opinion a benial comment that as a moderator really should know better. Again not getting irate and no one explian anything just expressed their opinions as did I. Now another administrator is involved in a petty "discussion" where only certain people are allowed to express their opinion despite how stupid and petty they maybe. Heaven forbid someone who expresses a little bit of common sense gets accused of being "irate" and told to calm down. Well if its irate you want then maybe I should start getting irate???!!!!! The manner of your responses, capital letters, multiple exclamation marks etc. didn't seem to indicate a calm view in anyone's mind here I don't think. You seemed to grow more frustrated as opinion went against you. Just a personal view - if you feel you didn't get like that, that's fair enough, that's just how your posts came across to me at least. We're more than happy for you to express your opinion, but you have accept other people have their opinions too. If you think their opinion is stupid or petty, that isn't fact, it's just your opinion again. If you find you can't agree, sometimes it can be better to just point that out, settle the differences, and leave that area of conversation alone. No one has slated their service, it was more of a side note which I think has been blow out of proportion, perhaps without proper knowledge of how some of these e-commerce systems work. Hopefully that clears things up a bit..
Boom !! blown up all out of proportion how funny. I know how e-commerce works and how it sometimes doesn't work!?? My main point was the stupidity of the comment not the stupidity of the person, did I attack anyone personally? I use capitals and exclamation marks as a norm, and as an administrator you now can read the minds of other users? I tried to leave the area of conversation but I am drawn back in by the inane comments by others including moderators and administrators. Trust me this is the last time I will comment on this subject I have much better things to do. Unfortunately I can see that this probably won't end if I leave it open, so I'm going to end it instead. 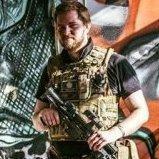 If you have dealings with and have feedback for ProAirsoft Supplies then please make a new topic.